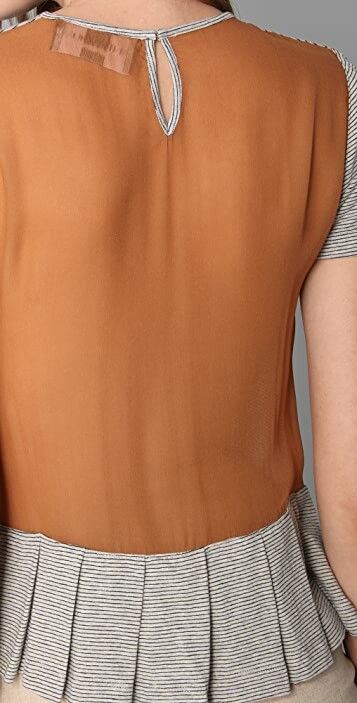 This crew-neck striped jersey top features a pleated hem. Hook-and-eye keyhole and sheer silk-chiffon panel at back. Short sleeves. Geoffrey J. Finch, the bespectacled brains behind Antipodium clothing, finds inspiration in the style-centric people who hang out at his London studio. Worn by editors, stylists, artists, DJs, photographers, and the odd Texan heiress, Antipodium has become an unofficial uniform for its loyal following. Finch’s “tongue-in-chic” approach to design creates fashion that is witty and unapologetically seductive, striking a chord with his followers who emulate the brand’s natural pragmatism and realness. 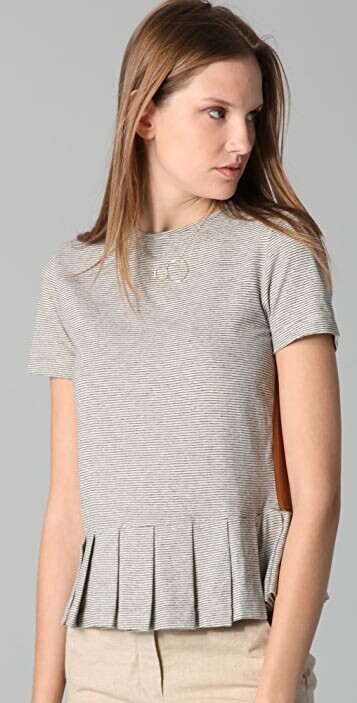 This is a great casual tailored top. Good quality materials and perfect to pair with everything. 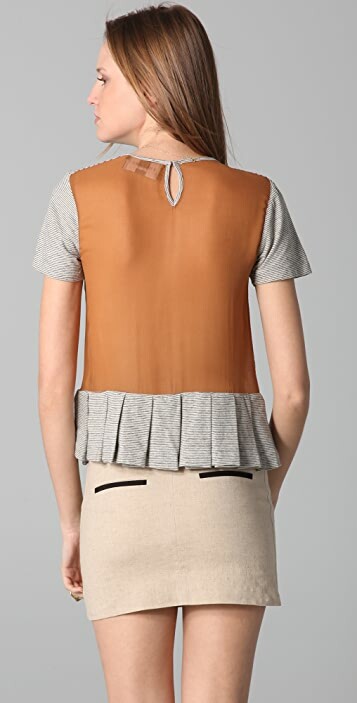 A top that transitions well from day to night but unfortunately there was only large left when I purchased. I am a broad shouldered sz 10AUS but this was just to baggy in the body for me, which I suspected but loved it so much i took a chance. Alas I had to return it. I would have kept it if the fit was right.